A May 2006 test published by PC World Australia revealed that the virus scanner component of PC-cillin Internet Security Suite 2006 was severely lacking in heuristic capabilities, catching just 5% of worms and 7% of backdoor programs on a testbed with month-old anti-virus definitions. This was due to Trend Micro's belief that the problems caused by heuristics (in particular, the inconvenience of false positives) outweighed the benefits. The product did, however, benefit from fast outbreak-response times, and the user interface was easy to use. In a test published by PC World and performed by AV-test.org in April 2007, Trend Micro AntiVirus + AntiSpyware 2007 (the standalone Anti-Malware application) was tested along with several competing Anti-Malware applications by various vendors. Trend Micro scored somewhat poorly in this test, scoring the lowest of all applications tested at 82% detection rate. AV-comparatives also published a single test report in March 2007 which tested the Internet Security edition. Trend Micro fares somewhat better in this test, reaching an 87% detection rate, while the minimum detection rate to qualify for testing in AV-comparatives is 85%. However, the author of the test notes that Trend Micro was tested later than other products which are normally included in its comparative reports, and says that considering that Trend Micro had about two months more time (and hence was updated to a more recent date) than the other tested products, Trend Micro may or may not have reached the minimum certification level at the actual time of testing (i.e. two months earlier). AV-test.org published another test report on May 22, 2007, which tested various other products along with Trend Micro. Trend Micro scored 90.97% overall. 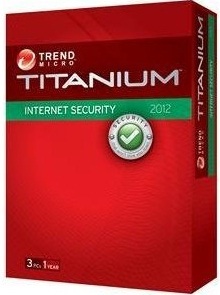 In the Consumer Reports Electronics Buying Guide 2008, Trend Micro was rated higher than any other security suite tested. The results are based on tests published in Consumer Reports in September 2007. Trend Micro has had moderate success with the Virus Bulletin VB100 award failing 11 tests and succeeding 16. It has also acquired certification from ICSA Labs for Anti-Virus and Anti-Spyware detection, as well as Check Mark, which signifies that it is able to provide at least basic protection against in-the wild (i.e. highly spreading dangerous malware with a high infection rate) malware. Trend Micro's firewall has only undergone limited testing, however, tests conducted by Matousec Matousec indicate that Trend Micro's firewall has poor protection; Trend Micro scored a 27% on the firewall leak test. Trend Micro's Smart Protection Network deploys bots to verify websites visited by users of Trend Micro Internet Security. While users of the software are visiting a website, the Trend Micro bots break security measures and rules specified by the website administrator and display malware characteristics . The antivirus software uses the trust websites have for users with administrative and other privileges to circumvent website security measures to allow Trend Micro's bots the opportunity to download privileged information or to inject files to the website. This can be a major privacy and security risk for Trend Micro Internet Security users who access Internet banking facilities.